Getting some chilly fall/winter vibes with ‘In Rainbows’ by Radiohead on this episode of “Got It On Vinyl”! Enjoy! The Neighbourhood put out a new song this week called “Scary Love”! “Scary Love” is part of the band’s upcoming EP To Imagine. It features some pretty high pitched synths, making it sound as scary as the title suggests. When I first heard it today, Jesse Rutherford’s vocals kind of scared me when he sang the opening line “Move to the city with me” in a screeching yet beautiful falsetto. In honor of the release of “Scary Love”, I decided to scour the internet for some fan art of The Neighbourhood. I found this really fun cartoon of the band on Pinterest. It’s not signed at the bottom so I have no idea who created it. 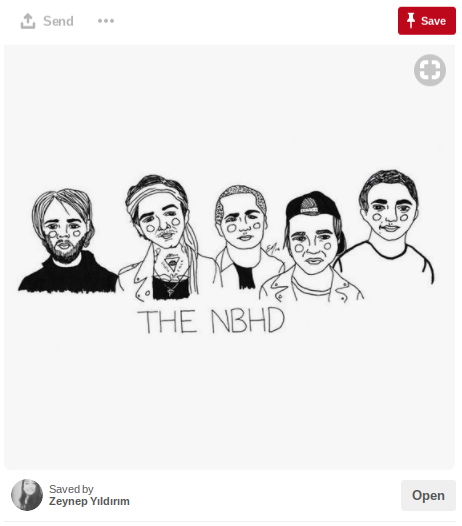 I find it very interesting how the artist decided to give the band members a clown blush look on their cheeks, since The Neighbourhood seems like a serious bunch of guys. Gotta love juxtapositions! Listen to “Scary Love” on YouTube. So first he cuts his hair and now he’s going solo. As in, signed-a-record-deal-with-Columbia-as-a solo-artist solo. Harry Styles is makin’ moves, yo. I’m not a fan girl when it comes to One Direction or anything, but since Zayn left I really haven’t paid much attention to the band. Harry’s departure (if it’s for good) will probably cause me to end up forgetting about the band entirely. Zayn and Harry are literally the only ones that seem interesting to me. I don’t understand why the band members can’t do their solo projects on the side and still stay a band (like Fergie and Will.i.am from Black Eyed Peas). It can’t be that hard! 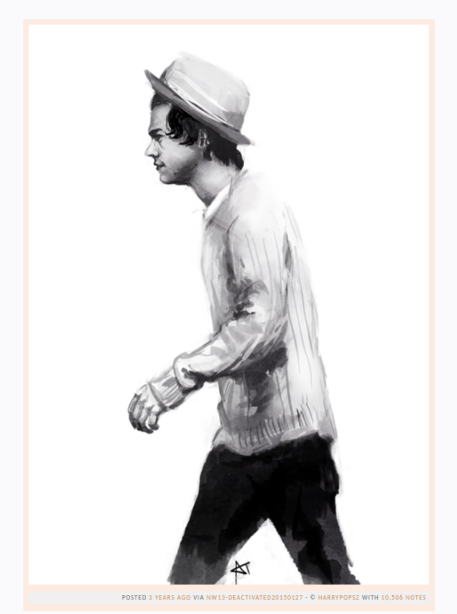 Anyway, enjoy this fan art I found of Harry Styles on Tumblr. He appears to be performing a determined walk out with a fedora on his head in the monochrome watercolor. It doesn’t get more official than that. I just found out yesterday that Coldplay will be releasing their new album A Head Full of Dreams by the end of 2015! According to Contact Music, the album is going to be way less somber than Ghost Stories. The release date still has yet to be confirmed, but we do know that the songs on the album will have a more positive, upbeat vibe. 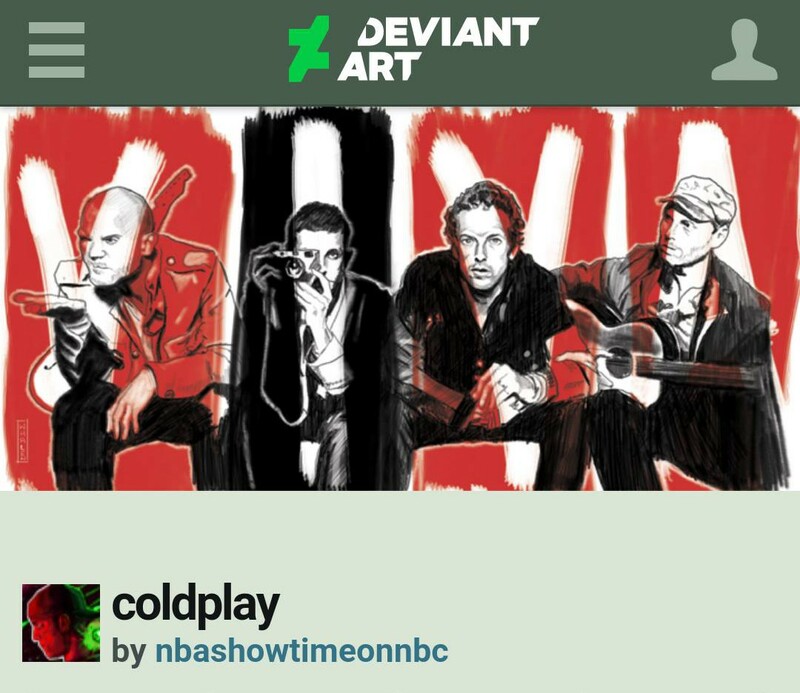 To celebrate the good news, I decided to showcase this drawing of the band with the word “VIVA” in the backdrop. This summer’s already starting to “hurt like a” … (you know the rest). That kind of thing doesn’t go over very well with Chinese officials. All the shows the band was set to play in China are now cancelled. 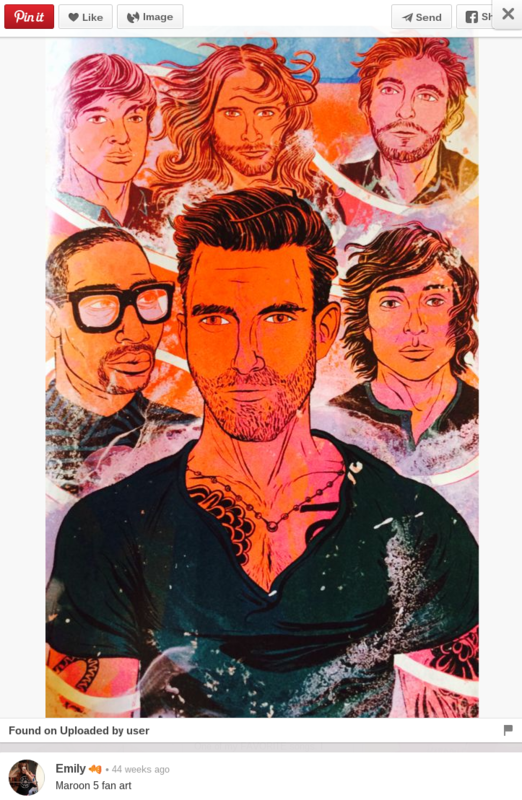 Looks like China isn’t giving Maroon 5 or their fans any “sugar” this summer. I don’t think it’s fair to punish the fans for this. Freedom of speech man. Learn it, and if you don’t live it, accept that an AMERICAN band is going to practice it. The sad news inspired me to post this dreamy piece of fan art I found of the band on Pinterest. 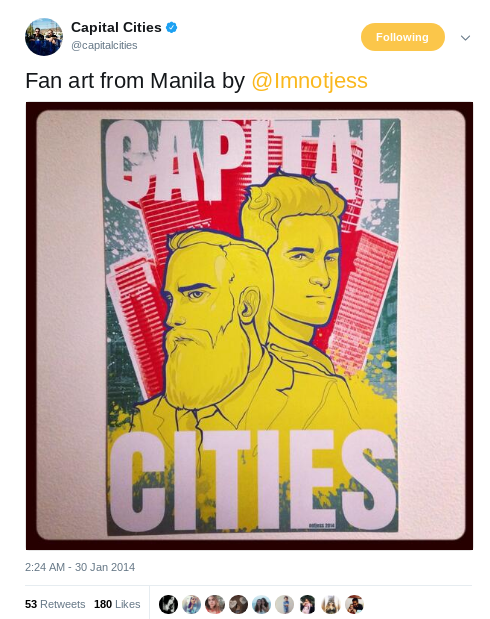 My heart goes out to the Chinese Maroon 5 fandoms.